Blissfully Perfect: Is Tea Tree Oil toxic for dogs? For humans, it can be used for acne, boils, bug bites, antiseptic, cuts, diaper rash, fungus, skin problems and the list goes on. What about dogs? Is Tea Tree Oil effective for dogs as well? 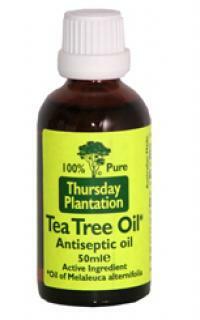 Tea Tree oil is promoted for the treatment of many skin problems and to control external parasites. Tea Tree oil lotions, shampoos and wipes are readily available from pet stores. If you do a quick google search for "tea tree oil for dogs", you will see numerous reports of Tea Tree Oil being toxic to cats as well as small dogs. It is known to cause neurological reaction and liver damage. Rainbow is having some skin rashes / reaction on her whole chest. It might be due to the BARF diet i started and she might be in the stage of detox-ing. So, thinking of making her feel better, I bought a bottle of 100% Tea Tree Oil (It's expensive!) from the health store and rub on her whole chest. Immediately I feel she stopped scratching and calmed down. She had been keeping me awake the whole night the day before with her scratching. The next day I checked her chest again, her whole chest is no more inflamed and her skin has started flaking. But I noticed that the skin that is flaking is actually healing. It is revealing pink and healthy skin as compared to her red and inflamed skin the day before. It is really a miracle to watch the effectiveness in just one night. So, should I continue to use Tea Tree Oil on Rainbow? I was really happy and started googling away for other homepathic treatment I can help her further. Then I stumbled upon more and more reports of the toxicity of Tea Tree Oils on animals. I was indecisive. It worked so well on Rainbow, so now what? I finally decided that I will not continue with the use of Tea Tree Oil. I asked myself, what happens if it affected Rainbow the second time I used it and I would blame myself for using it even when I know of the danger involved. I began researching for other alternative that hopefully will work as good as the Tea Tree Oil. I chanced upon Neem Oil. 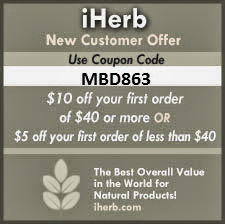 I will blog about Neem Oil in my next post.